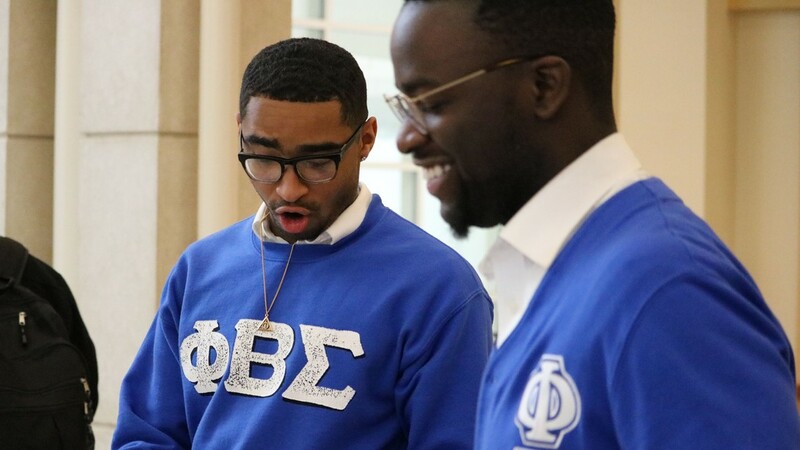 MACON, Ga. — Across Central Georgia, it's not uncommon to see historically black fraternities and sororities stepping or strolling. If you've ever been to a step show, you can probably say it was a fun experience. What you may not know is each of the steps and claps you hear and see are tied to a rich African history. Across college and university campuses in Central Georgia, step is a common part of Greek life. 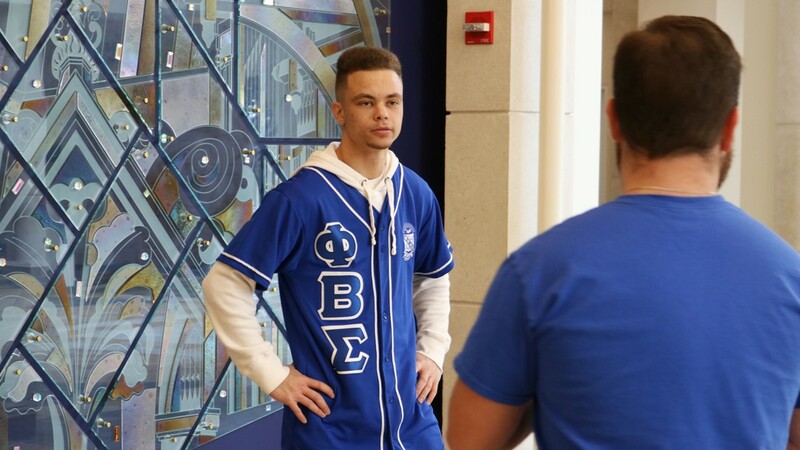 Rodriquez Bundrage joined the Gamma Iota Gamma Chapter of Phi Beta Sigma Fraternity, Incorporated at Mercer University last year. He says step has given him a new beat. "And so when I started stepping, it gave me a way to express stuff," Bundrage said. 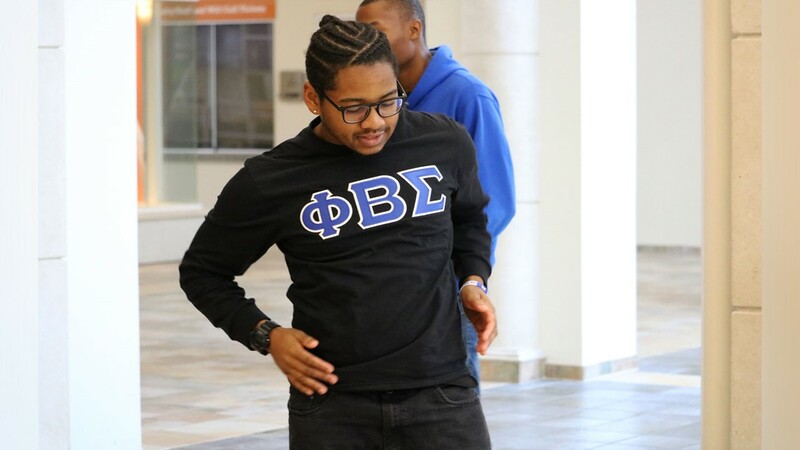 The Gamma Iota Gamma Chapter of Phi Beta Sigma Fraternity, Inc. at Mercer University practices stepping and strolling together. Georgia College history professor Aran MacKinnon says the art form of stepping can't be pinpointed to just one African nation, but says 'gumboot' dancing, as it's known in South Africa, is a Zulu-named dance and is very close to what we see today. 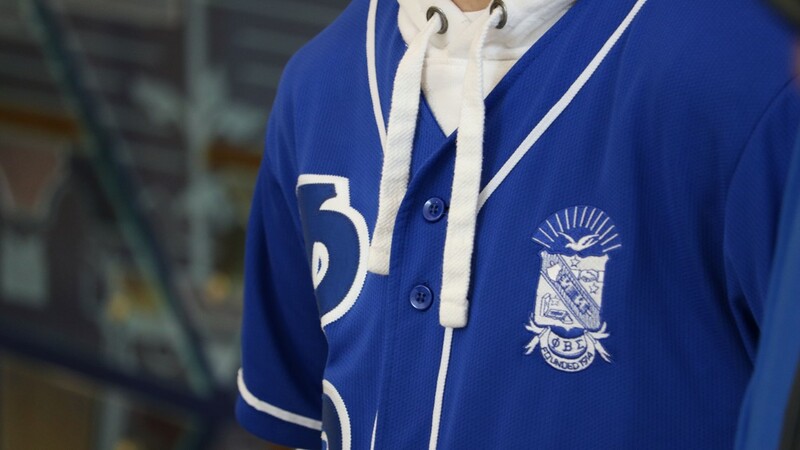 "When you see something that is done so well, and it is classic, you do not just want to imitate it, you want to celebrate and honor it," MacKinnon said. Pilar Lowden, who teaches African dance at Hayiya Dance Theatre in Macon, says during the Apartheid period in South Africa, mine workers would wear special boots because of the dangerous conditions. "There is a lot of stagnant water in the mines, so people were getting sick and getting sores, and quite frankly, the people in charge cannot afford to have their workers sick or out or even die because of illness," Lowden said. In the dark, in those dangerous conditions, workers got creative and used movements and the resulting sounds to connect with each other. "They rattled the chains on their boots, they slapped their boots, they clapped their hands, and they created a way to communicate in the mines," Lowden said. "That communication made its way up out of the mines." Lowden says when you compare gumboot dancing and modern stepping, there's no question the two are linked, and black Greek organizations continue to pay honor to their African history by stepping. It's a practice Bundrage says gives him a sense of belonging. "Hearing people in the background, like cheering you on, saying, 'you better set it up,' and all that stuff like that, it gave me a way to feel a sense of accomplishment within my self," Bundrage said. MacKinnon says these Zulu dances are still popular today, and if you travel to South Africa, it's not uncommon to see locals performing.